as our Sacred Spaces only allow for 10 guest at a time. This is to ensure your health and happiness with one on one coaching during your entire stay. We are excited you chose to invest in YOUR health and well-being. By participating in our 10 day retreats through out the year. You will experience guided meditations, cooking / uncooking, label reading and more. You will be on your way to a life of total body, mind, heart and soul RESTORATION that you've always imagined. This will be an experience to See the Unseen and create yourself as you've never imagined. We are offering for you to come join us in our wellness home of Savusavu. You will learn each and every day how to create and live a healthy and vibrant lifestyle. You will learn to incorporate the True ART of Sculpting your Body, Mind, Heart and Soul. You will get to enjoy one-on-one training on how to cook, un-cook, shop for the best foods, learn how to grow your own foods. You will also enjoy nature walks to get grounded on a daily basis as well as activities such as hiking, swimming, snorkeling, climbing the water falls, steam baths, mud baths, hypnotherapy, reflexology, massages and more. We will help you understand how to embrace mediation and prayer as well as how to manifest your desires. We look forward to meeting each and every one of you beaYOUtiful Souls. An experience of a life time, indeed. When you are ready to reserve your sacred space, please kindly give us a call and we will be happy to answer any questions you may have. We will collect your initial deposit at time of reservation. Did we mention these experiences are ALL INCLUSIVE?!!! **special note: You WILL have access to ALL coaches during ALL retreats. However, a couple of coaches will be LIVE via remote access for our classes during certain months. Her life’s passion is helping people feel better. Body, mind, and spirit. Once upon a time, I worked in an industry that had me constantly interacting with individuals that were "unwell" on all levels. Many of them were living in a state of total despair and it seemed much of their suffering could’ve been prevented/reduced through simple lifestyle changes. I knew I wanted to help. I taught my first wellness class in 2012, the positive feedback and dialogues created through the class made me realize that I was on the right path. I set on a journey to share my approach to wellness with the world. I have led an employee wellness committee, implemented workplace wellness initiatives, and taught wellness classes. In 2017, I received my Master of Public Health degree. I participated in a five month wellness research internship at a prestigious university. In 2018, I became a Certified Health Education Specialist. In addition to my professional and educational experiences, I have implemented wellness and conscious creation strategies into my own life to overcome barriers and change my life for the better. By reframing my views to a holistic perspective, I have been able to implement lifestyle changes that have improved every aspect of my wellbeing and quality of life. Shirley Hawkins: Shamanic Reiki Master, Healing Touch I Practitioner, IET Practitioner II, and Color Therapist. Her Business is, "Solutions to Better Health." Shirley has lived in Memphis,Tennessee her whole life. Her Passion is helping others Heal Naturally. She comes with 43 years experience as a nurse with 17 of those years in cancer research, and she continues her studies in Alternative Medicine/ Remedies. Shirley is currently working on her Certification as an Alternative Holistic Psychologist. Shirley has studied and worked 16 years in Alternative Holistic Medicine. She currently uses Tapping, Sound Therapy, Magnets and The Emotion Code in her work. She also uses Tuning Forks, Crystals and Essential Oils, these are just a few of the Holistic approaches to healing that you will experience from Shirley. "I am Divinely guided as to each Healing session I offer. I work from my Heart and only in Love. I receive messages from the Holy Spirit and share them with those in need. I also work with Animals in Healing." The original Aqua Chi Foot bath, Essential Oils, and Hemp CBD oils." Love, Light and Healing Energies to all! 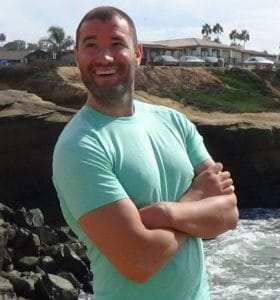 Tom is a fitness and wellness therapist who provides services to treat pain and heal mind, body and spirit. He employs a unique combination of Fascial Stretch Therapy, Body Alignment and Personal Training. Tom is also a Meditation Coach and incorporates Intuitive Energy Healing into his work. He provides a mobile service for at-home treatment sessions as well. "Over the past ten years I have combined my training, experience and passion for personal training, self-growth and fascial stretch to develop my own personal training process." An optimistic but objective devotee to the changing of tracks that our western culture needs. Natural nature lover. Jack of all trades from cooking to translating, technology to growing my own food. Good salesman and singer. Have studied the curative powers of plants, food, and other therapies. Passionate in all I do. My heart is always invested in my entrepreneur-ships and all of them are directly aiming at procuring a better relationship with nature and hence a better future. For 15 years now, I have been involved in the organic food business. For 21 years I have studied and taught Permaculture. I am an avid traveler looking always for alternative projects that are changing the world as we know it. For 5 years I have been participating with Moringa for Life as a facilitator and teacher in showing people how a single plant can connect you with a whole new approach to life itself. Nutrition nerd that believes that through food and good cooking we give our body the opportunity to heal itself as nature intended. Janet Westley: Ph.D. in Natural Health (N.H.D. ), Master’s in Health Care Administration (M.H.C.A. ), B.S.N, Bachelors in Metaphysical Science, and Certified Hypnotherapist. Janet's education has evolved throughout the years. Her career began as a LPN. She then received an Associate in Science in Nursing or RN, the RN evolved into a B.S.N. Janet was soon on her way to earning a Master’s in Health Care Administration while simultaneously earning a Ph.D. in Natural Health. Along her journey to discovering natural healing, she received certification in Therapeutic Hypnosis and advanced training in Regression Hypnosis. "So, what did I learn from all these degrees and training? That I didn’t know much and that one must continue learning and moving forward or you become stagnant." "My passion is giving people the tools they need for better health." Life is not by the number of breaths we take, but by the moments that take our breath away. Coty Pate: Certified Organic Chef; Organic Chef of the World, Batchellers Program with Hospitality and Management. Coty is a culinary arts professional who is passionate and knowledgeable about cuisines worldwide and the use of organic ingredients from farm to table. He travels the world sharing knowledge to bring others together with his love of cooking. He now enjoys an Organic Chef career traveling around the world preparing foods for the 'Elite" of the world. Coty was trained from 1 master chef of the world as well as numerous other highly qualified chefs from around the wolrd. He continued his extensive training in Lyon, France. While in France, Coty had the opportunity to study under one of France's top chefs. He was also the first American Chef to be hired at a top hotel in Lyon, France. He has traveled the world to embrace cultures to combine cuisines to delight your taste buds. A true inspiration to the world, as he overcame a chronic and un-curable disease, Coty sets the stage for living the life of longevity with real foods. You can find his story HERE. Coty is sure to tantalize your taste buds and teach you how to create your desired meals for you and your family. Bring an empty stomach with open eyes to see how to create your desired meals. Chef Coty will be our Chef of the November retreat. Eric Plott, AKA: the Moringa King. He is the founder and creator of Plott Palm Trees. Harvard Medical Researcher & Biology and Plant Based Nutritionist from Cornell University. I am an expert on Moringa K Oleifera. A superfood/Fruit hunter and professional herbalist NaturALCHEMIST for divine healing. Magical ability to create herbal blends with a cryptic energy that will be used to heal all nations, purify all waters, end all wars as this is a biofuel, end all poverty, drug addiction, and malnutrition and starvation. ​Jonathan Ryan: Co-Author of the ART of Health Restoration; Co-Creator of the Art of Health Restoration Retreats and online courses. Batchellers in business and a major in psychology. Jonathan's life journey has led him to look no other place, than up and positive. His education is in psychology and business. He relates to the real world, as he experienced many encounters of situations during his life's journey. He also has a positive outlook on life due to his severe traumatic brain injury he suffered in 2008 in which only 25 percent of patients with this injury are expected to even live. Not only did he live through it, he came out of a coma and began relearning how to live, much less... to walk, talk and eat! This experience taught him the power of prayer, positive thinking and never allowing the shadows to keep you down! Jonathan Ryan inspires others to be HAPPY with his magnetic personality!!! Isabella Lynnette is an International Author, Minister for the Environment and Certified Medicine Woman. She is the Co-Author of the ART of Health Restoration and Co-Creator of the ART of Health Restoration Retreats and on-line courses. She suffered from her own kidney surgery at age 8 in which she was on Rx drugs and OTC pills along with yearly emergency room and hospital visits throughout 25 years. She also brings to you, some life changing experiences in which many would find themselves 'overtaken'. Lynnette shows you how to overcome and rise above all! There are no hurdles in life to large to manage. She is the Author of one of the best internationally selling books, 'Fuel for the Body', in which has sold around the world. It was voted the “Best Lay Person” book written on food and health. Her education si from her studies at the White Peacock of Lake Mary, FL with the guidance of Dr. Debra Clarke and Wagner Chiropractic Center in Eustis, FL with the guidance of Dr. Ramah Wagner. Isabella Lynnette's no nonsense approach to all aspects of health are simple. It is not rocket science! She helps you to understand why and how you got in the uncomfortable position you may be in now. Meet our Hostess with the Mostess!!! Maria is Gypsy's Soul Sister and Partner in our Wellness home. Our wellness home is located on her property of the beautiful Vanbua. What an amazing treat you all will be in for as sit around the bon fire on sea side while we camp and tell deep diving stories!!! Maria is a long time Activist for organic eating, sustainable living and saving our oceans as well as the abundant lands we live on. She comes from a pure heart of love for all of Humanity and the Planet. Maria is the backbone of holding the Wellness home togther while I travel to the states and other countries. What a treat you will be in store for when you meet this beautiful soul. Maria will also be sharing her words of wisdom during our Bon Fire evenings. You will want to be sure to take notes of her wisdom. Debbie has a BS degree in Education. She is 42 years retired as a public school educator. Masters and Specialist in Administration. She taught 23 years in classroom, then 'graduated' to building and district level administration. Debbie planned and facilitated many profesional development events and worked side byh side with her team, daily, to maximize outcomes for students. Currently, Debbie is enrolled in a ten month Yoga Instructor class. She continues to learn and grow as an evolved being to create higher vibrations. She is a forward thinker and steadfast in presenting something for every to have the skill set to 'pay it forward'. She will encourage the exchange of energy for all the blessings opportunities and experiences in her life.